New Zealanders of Pacific descent come from approximately 20 different island groups, and have their own unique identities, languages, cultures and spiritual beliefs. This impacts on their individual perceptions and collective interactions with New Zealand health services. New Zealand is home to approximately 250 000 New Zealanders of Pacific descent, who make up 7% of the country's total population. Although collectively known as Pacific peoples or peoples of Pacific ethnic origin, these New Zealanders come from approximately 20 different island groups, and have their own unique identities, languages, cultures and spiritual beliefs. This impacts on their individual perceptions and collective interactions with New Zealand health services. 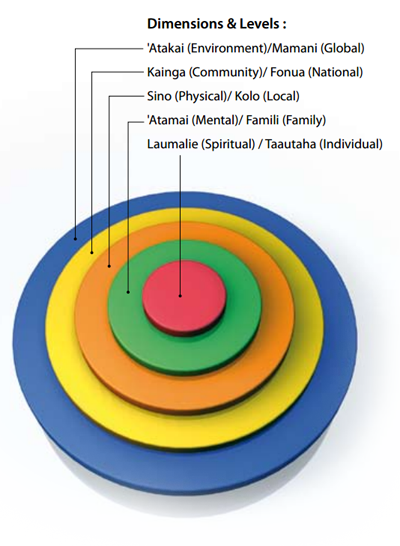 As emphasised in 'Ala Mo'ui – Pathways to Pacific Health and Wellbeing 2010-2014 (the Ministry of Health's action plan for Pacific health),9 all these aspects of diversity (place of birth, multiple ethnicities, and cultural variation between Pacific groups) mean that services need to be particularly adaptable and innovative to respond to the varied needs and preferences of Pacific peoples. Families and culture are important. They play a significant role in the health and well being of Pacific peoples. Pacific health providers have been effective at driving innovative approaches to increasing Pacific peoples' uptake of health services (such as the MeNZB vaccine) and improving Pacific peoples' chronic care management. These health providers have used “wrap-around” services to support the clinicians' treatment and advice and borrow heavily on the principles of 'Ala Mo'ui. While there is some growth in Pacific peoples' utilisation of primary care services, high rates of ambulatory sensitive hospitalisations (hospital admissions that could have been avoided by provision of outpatient-based primary care) and emergency department attendances10 reflect ongoing issues for Pacific peoples in accessing high quality, convenient and timely primary health care. For example, the highest rate of “Potential Avoidable Hospitalisation” for Pacific peoples in Auckland DHB in the 12 months to April 2010 was for cellulitis – essentially a condition that should be largely treatable in primary care. Improving the health of Pacific peoples in New Zealand is everybody's business. All health practitioners will at some stage encounter a Pacific person/family seeking health advice. The difference between a good practitioner and a great practitioner is someone that aims to make the health interaction one that is not only positively memorable but also one that encourages ongoing engagement to improve the health of the Pacific person and their family. The New Zealand Medical Council has recently published a resource booklet; “Best health outcomes for Pacific peoples: Practice implications”, that provides an understanding of the requirements for working successfully with Pacific peoples, families and communities. Research shows that health practitioners who are familiar with their patient's cultural differences are likely to offer improved patient care. We need to continually monitor and evaluate any new initiatives being undertaken to ensure they are culturally competent, cost effective and delivering better health outcomes for the Pacific populations we serve. This may also include ongoing research which in turn puts New Zealand in an enviable position of leading the way in being culturally appropriate and responsive to the health of minority populations within its borders. Improving the health of Pacific peoples in Aotearoa is everybody's business and my challenge to all health practitioners is to take action – to deliver health services in a way that is more responsive to the needs of the Pacific peoples we serve. Think outside the square. Pacific health providers are at the very heart of their communities and are making a tangible difference to Pacific health. They are improving access to primary healthcare and specialists; they are increasing immunisation and screening rates; they are educating communities in important preventative health messages; and they are helping to address the underlying causes of ill health such as poor housing, education, nutrition and exercise. The majority of us in non-Pacific practices (which care for over 80% of Pacific peoples in Aotearoa) need to take up the challenge of matching this effort not only because we want to, but also because we have a responsibility to the Pacific populations that are served by us collectively. We need to make it our business to deliver the best health care that can bring real gains for all Pacific peoples - now and for future generations. Only then can we make real gains for the overall New Zealand health system. Tu'itahi S. Fonua model. September, 2009. Available from: www.hpforum.org.nz (Accessed Oct, 2010). Blakely T, Tobias M, Atkinson J, et al. 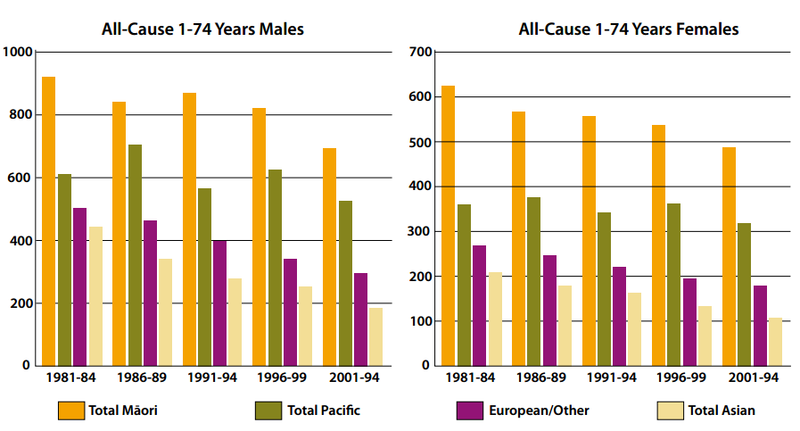 Tracking disparity: Trends in ethnic and socio-economic inequalities in mortality, 1981-2004. Wellington: Ministry of Health, 2007. Tobias M, Yeh L. How much does health care contribute to health gain and to health inequality? Trends in amenable mortality in New Zealand 1981–2004. Aust N Z J Pub Health 2009;33:70-8. Ministry of Health. A Portrait of Health – Key results of the 2006/07 New Zealand Health Survey. Wellington: Ministry of Health, 2008. Ministry of Health. New Zealand Food New Zealand Children: Key Results of the 2002 National Children's Nutrition Survey. Wellington: Ministry of Health, 2003. Callister P, Didham R. Emerging demographic and socioeconomic features of the Pacific population in New Zealand. In : Bisley A (Ed.). Pacific Interactions: Pasifika in New Zealand – New Zealand in Pasifika (pp. 13-40). Wellington: Institute of Policy Studies, Victoria University of Wellington. 2008. Statistics New Zealand. QuickStats about Pacific peoples. 2007. Available from: www.stats.govt.nz/ (Accessed Oct, 2010). Blakely T, Richardson K, Young J, et al. Does mortality vary between Pacific groups? Estimating Samoan, Cook Island Māori, Tongan and Niuean mortality rates using hierarchical Bayesian modelling. Official Statistics Research Series 2000;5. Available from: www.statisphere.govt.nz/official-statistics-research.aspx (Accessed Oct, 2010). Novak B. Ethnic-specific health needs assessment for Pacific people in Counties Manukau. Manukau City: Counties Manukau District Health Board, 2007. Available from: www.cmdhb.org.nz/ (Accessed Oct, 2010). Minister of Health and Minister of Pacific Island Affairs. 'Ala Mo'ui: Pathways to Pacific health and wellbeing 2010-2014. Wellington: Ministry of Health, 2010. Carr J, Tan L. Primary Health Care in C&C DHB. Monitoring of Capital & Coast District Health Board's Primary Care Framework. 2009. Available from: www.ccdhb.org.nz (Accessed Oct, 2010). Kumpfer K, Alvarado R, Smith P, Bellamy N. Cultural sensitivity and adaptation in family-based prevention interventions. Prev Sci 2002;3(3):241-6. Anderson L, Scrimshaw S, Fullilove M, et al. Culturally competent healthcare systems: a systematic review. Am J Prev Med 2003;24(3S):68-79. Beach M, Gary T, Price E, et al. Improving health care quality for racial/ethnic minorities: a systematic review of the best evidence regarding provider and organisation interventions. BMC Public Health 2006;6:104. Ministry of Health. Pacific Cultural Competencies: A literature review. Wellington: Ministry of Health, 2008.